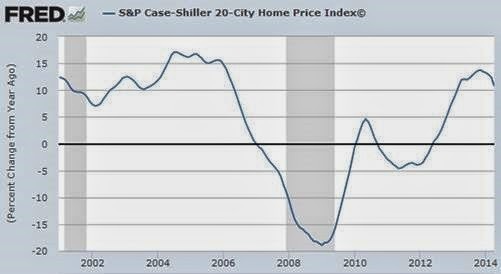 A quick note on home price appreciation in the US. Prices are now rising at less than 6% per year and the pace is slowing. That’s a good thing - we want to avoid the affordability collapse taking place in the UK or France. In fact US home prices are still rising faster than homeowners’ expectations. The long-term housing price increases should be in line with wages. And we all know where that is. Sign up for our daily newsletter called the Daily Shot. It's a quick graphical summary of topics covered here and on Twitter (see overview). Emails are distributed via Freelists.org and are NEVER sold or otherwise shared with anyone. Should “Mayor Pete” Buttigieg’s Small Donor Contribution Numbers Go Unchallenged? Stock Exchange: What Is Your Trading Timeframe Now?